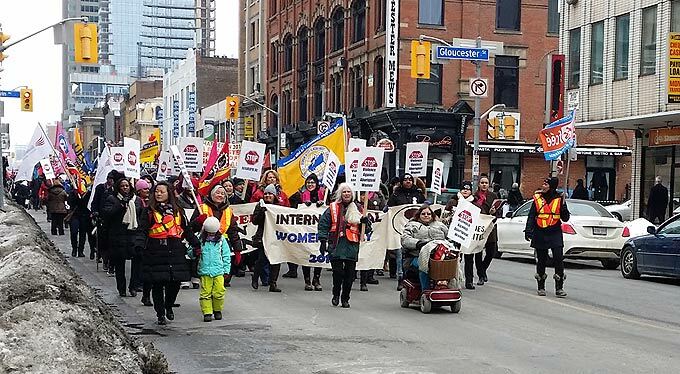 March 8 is International Women’s Day where issues and achievements important to all women are showcased and discussed at cities all over the world. 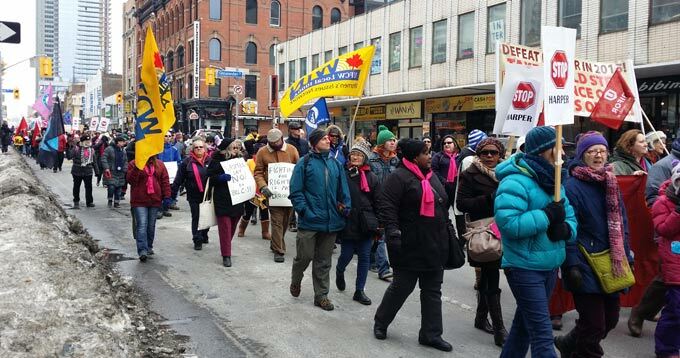 In Toronto a meeting and march was held on March 7 (2015) and several of us from IAIJ went down to report on the event. 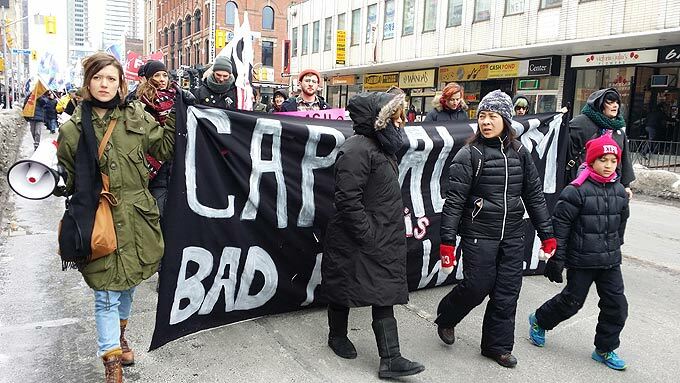 The march started at around 1:00pm at the OISE Auditorium at 252 Bloor Street West and made its way down Yonge Street to the Ryerson University at 55 Gould Street. 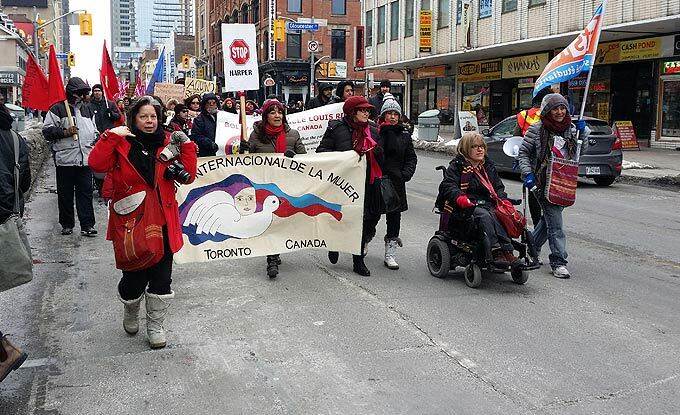 The photos and video below are just some of the moments as the 700 strong marchers of many causes showed support for International Women’s Day! 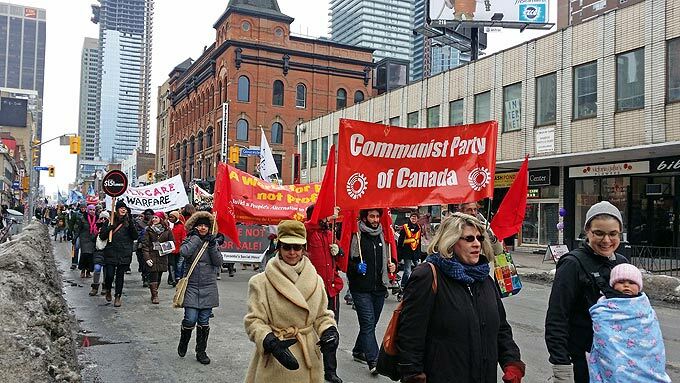 The front of the march as they made their way down Yonge Street. 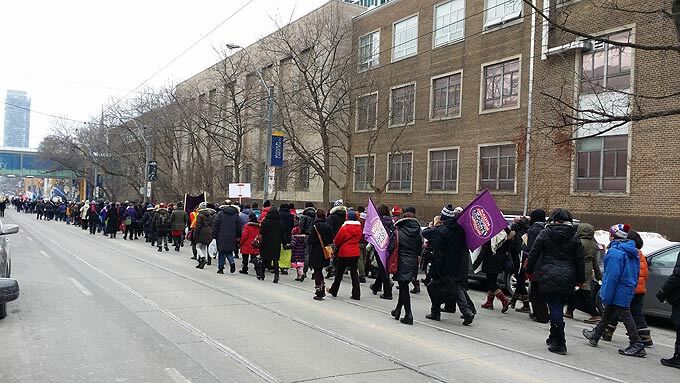 The long line of marchers as they made their way to Ryerson University. 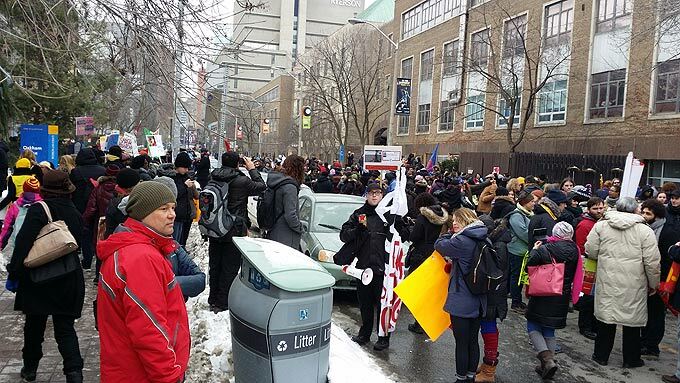 The crowds of marchers assembled at Ryerson University. Along with the world wide celebrations were the international objectives personified best by the Beijing Declaration and Platform for Action signed by 189 governments in 1995 which set forth an agenda for progress in many areas regarding women’s rights. International Women’s Day can be traced back all the way to 1909 in New York and Russia in 1913 where the February date seems to have established itself. International Women’s Day gained further acceptance when in 1977 the United Nations General Assembly and its member states proclaimed March 8 as the UN Day for women’s rights and world peace.